The American Institute for Medical and Biological Engineering (AIMBE) has announced the induction of Bahram Jalali, Ph.D., Professor, Electrical Engineering and Bioengineering, University of California, Los Angeles, to its College of Fellows. 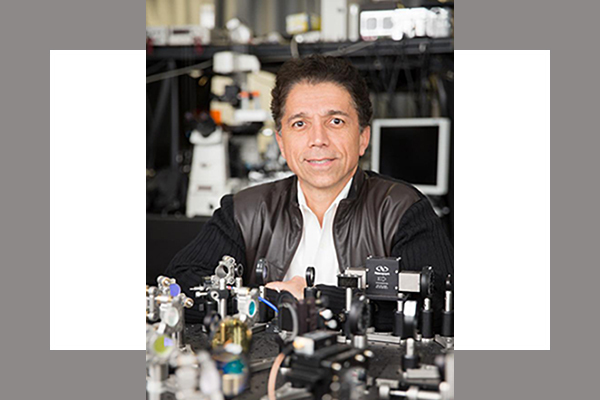 Dr. Jalali was nominated, reviewed, and elected by peers and members of the College of Fellows for pioneering contributions to biomedical instrumentation, extreme-throughput spectroscopy, imaging and diagnostic systems. The American Institute for Medical and Biological Engineering (AIMBE) is the authoritative voice and advocate for the value of medical and biological engineering to society. It is an organization of leaders in medical and biological engineering, consisting of academic, industrial, professional society councils and elected fellows. Congratulations!